Br. 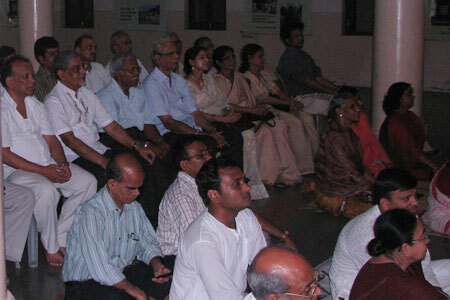 Shubhamrita visited Kolkata from 17th April to 26th, during which he did many ‘gruh sampark’ ( house visits), addressing small gathering of devotees and leading them in bhajan and meditation.On Sunday the 22nd devotees filled the prayer hall keen to listen Swami’s satsang and bhajan. 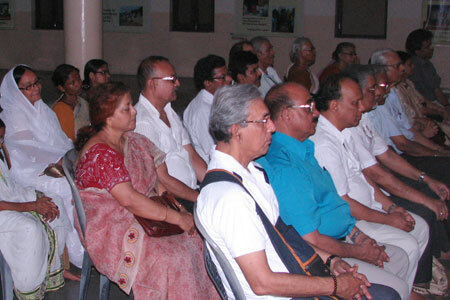 14th April was celebrated as Vishu by Keralites and Nav Varsh ( new year ) by Bengalis. The day started with “Vishukkanni” followed by Ganapathy Homa, ‘Kaineetam’ and a prayer for World Peace. Both Malayali and Bengali Children of Amma thronged the temple for blessings for better new year. 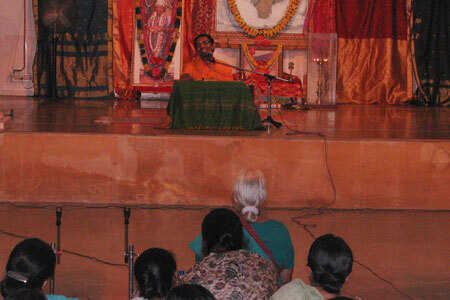 Apart from regular Sunday bhajans in the evening, annadanam was served on the 12th which was attended by about 200 people. 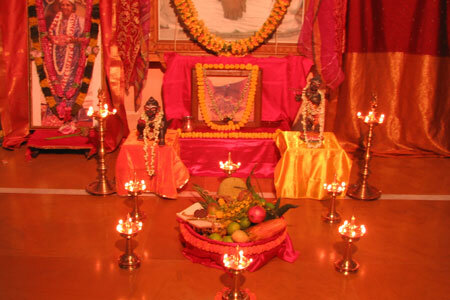 Karthika was celebrated with kali puja on the 1st and the 29th attended by about 100 people . Maha Sivaratri celebrations started with Rudrabhisheka at 7.30 am followed by Ganapathy Homa and Shiv Shakti Homa, Uma Maheswara Puja, and Maha Mritunjaya Homa. 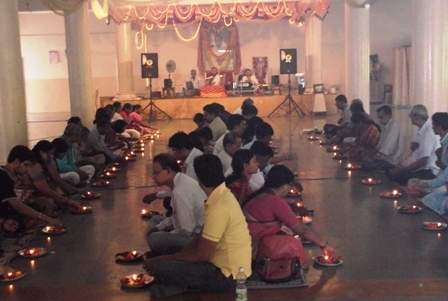 The evening programs started at 6.00pm with Rudrabhishekam, Kalasa Puja, Satsang and Arati which was followed by a continuos video show on Shiva which captivated the audience in its flavor of devotion till dawn. 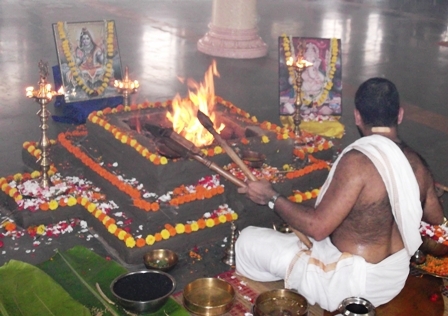 To remove the ill affects of the transit of Shani from Kanya rasi to Tula rasi, special homa was performed at the Ashram on 13th November 2011 at 10.30 am. 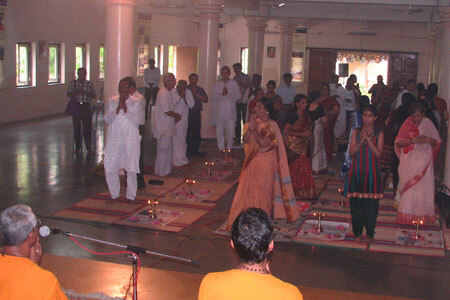 Several devotees participated in this function where in devotees were instructed to do puja themselves. 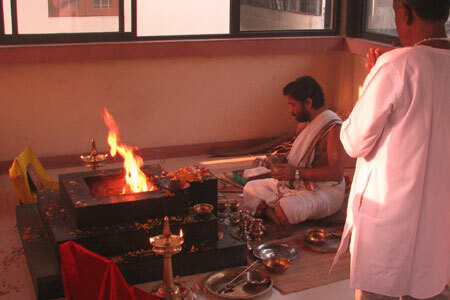 The Puja culminated with devotees offering till (Sesame seeds) to the homa followed by Aarati and Annadanam.